Bently Hopperton is an artistic frog, pressed into egg-sitting by his friend Kack Kack the Duck. Bently can't resist painting Kack Kack's egg, and thanks to his dazzling brushwork, his charge is soon mistaken for an Easter egg and kidnapped. How Bently gets the egg back to the nest, and what happens when Kack Kack returns, proves to be an adventure of a lifetime for a young frog. "Bently is miffed when his friend Kack Kack the duck ignores him to brood in her nest. After she leaves him in charge of her single egg, Bently decides to paint it. 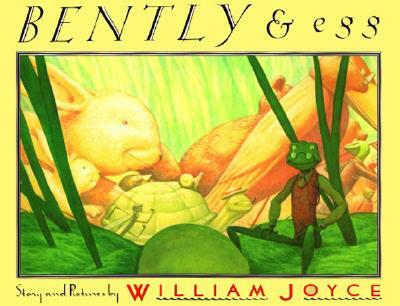 [But] when a boy mistakes it for an Easter egg and runs off with it, Bently knows his duty. . . . A book that revels in the joys of spring and song, friendship and fatherhood, and the spirit of adventure . . . a classic tour de force." H.